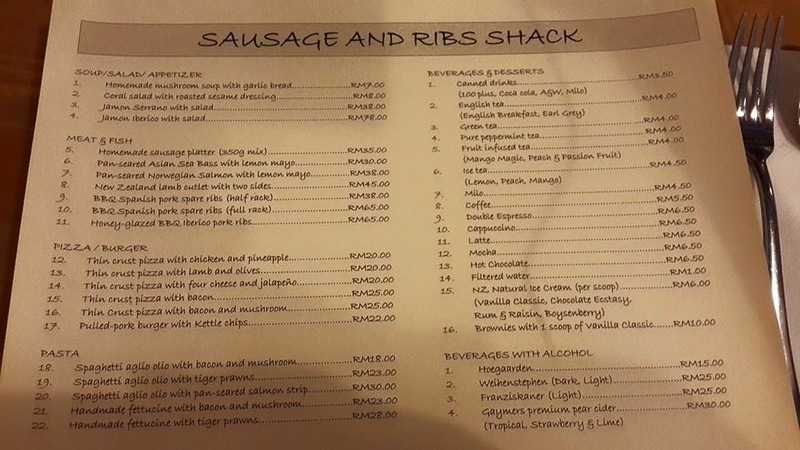 Or Sausage & Ribs Lover? If you are either one of the type I mentioned just now, you must come here to try out their food. 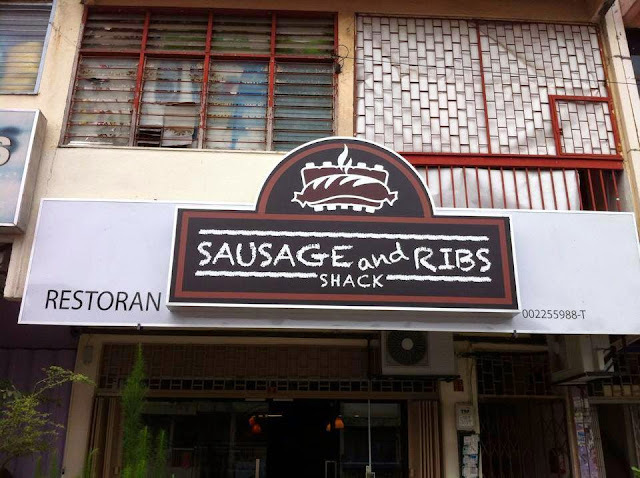 Sausage & Ribs Shack started their restaurant business in Taman Midah, Cheras since October 2013. 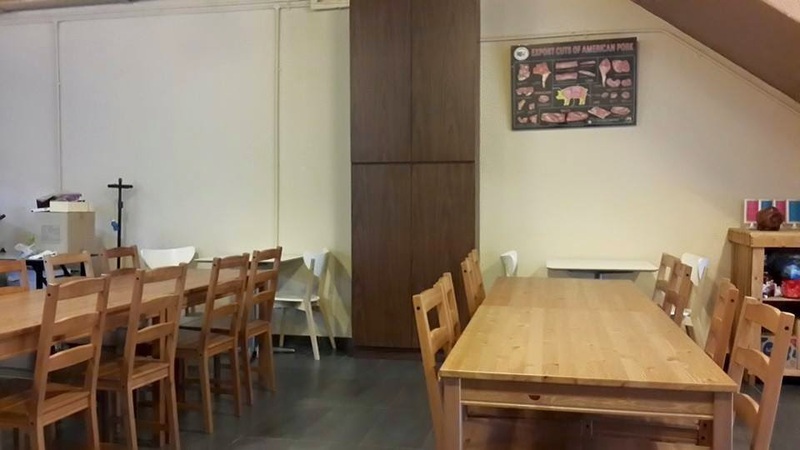 This restaurant is running by a family, which the only cook in this restaurant is the husband (The Sausage Man), while his wife and mother take orders from customers and serve food when the food is ready, it's truly a heart warming picture. Before u step into restaurant, you have to remove your shoes, this makes you feel like u are home. 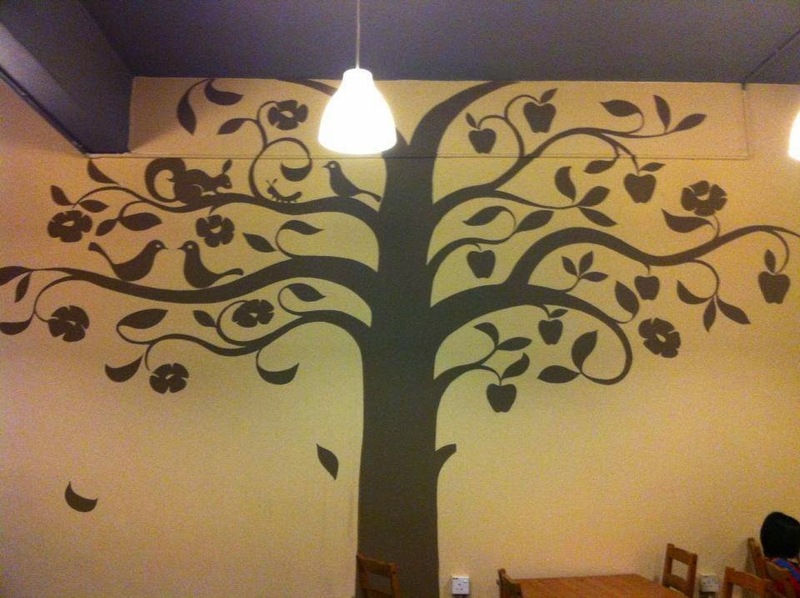 The decoration here is quite homey style, heartwarming type. 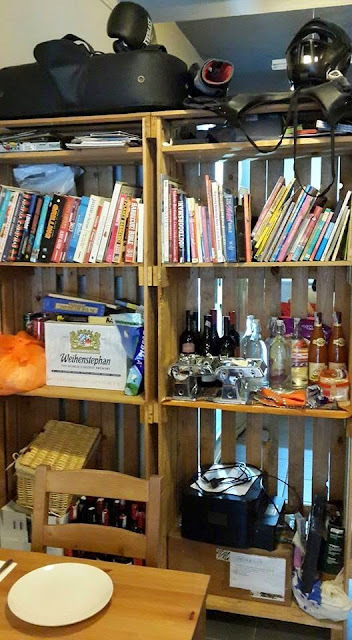 Sausage And Ribs Shack is famous with their Signature dishes - Homemade German Sausages & BBQ Pork Spare Ribs! Something to highlight is this restaurant is selling Weihenstephen & Franziskaner German Beer which is rarely can be found in Malaysia! 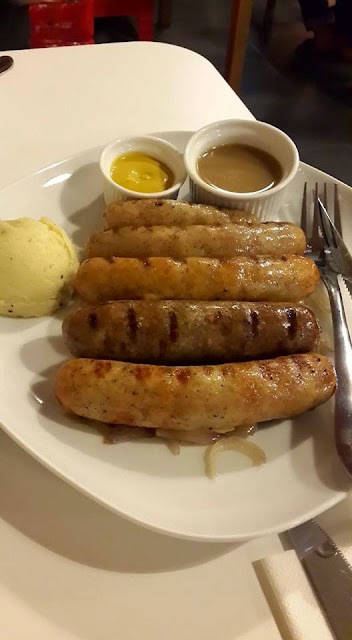 Homemade Sausage Platter (350g mix) (RM35) Coming with Mustard sauce. Jamon Serrano is a type of dry cured Spanish Ham serving in thin slices, made from the landrace breed of white pig. 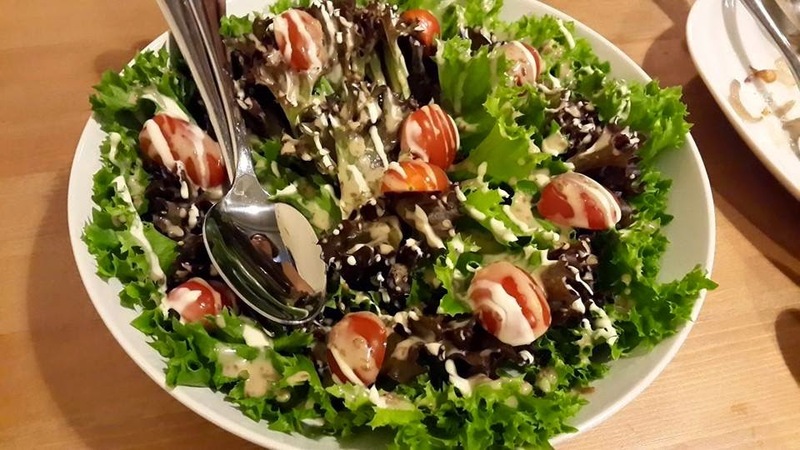 Here they serving with green salad with Balsamic Vinegar and Melon. 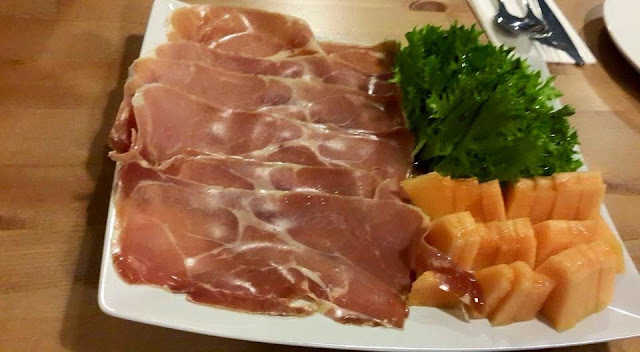 The ham is smooth, slightly salty, but it's perfect when you wrap it with melon together because the melon bring out the fragrant ham flavor. Their Homemade Sausages is sososo delicious! It's springy and popping in your mouth when first bite , yet juicy! When you are cutting the sausage, you can see there's some juicy essence flowing out! The meat is so fragrance and satisfactory chewy, and the aroma is surrounding your mouth! Their sausages is grilled together with onion, you can see there's some onion slices which is sweet and juicy sleeping under sausages, you can eat the onion together with sausage, create another delicious flavor. Signature BBQ Spanish Pork Spare Ribs is a thumb up. According to chef, the meat need to marinate overnight and slowly roasted for 2 hours. It's sweet, juicy, flavorful and tender! You just have to bite it gently and the meat is come off the bone! A definately MUST ORDER! **REMEMBER to place your reservation for ribs at least a day earlier to avoid disappointment! Thin Crust Pizza with Pineapple and Chicken is another must order when you are here. 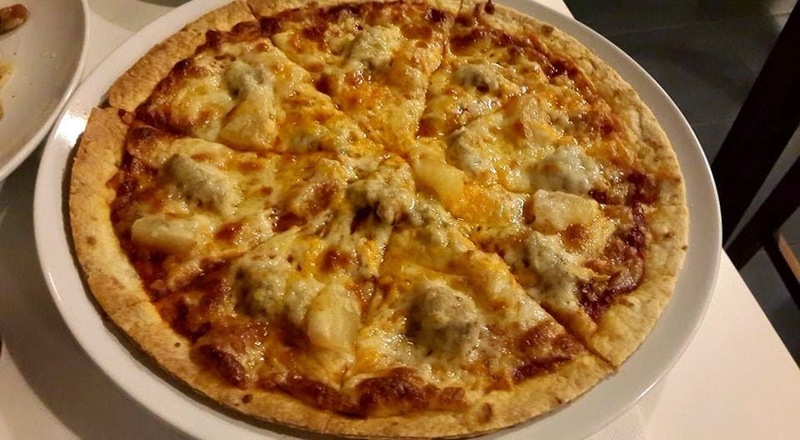 The main attraction is the type of cheese they are using, definately not typical Mozzarella, Cheddar cheese or the cheese that other pizza chain restaurant using. The pineapple and chicken topping still remain juicy! We wanted to order Homemade Fettucine but we were told that Fettucine is not available on that day because the chef was too busy to made it due to some issue. 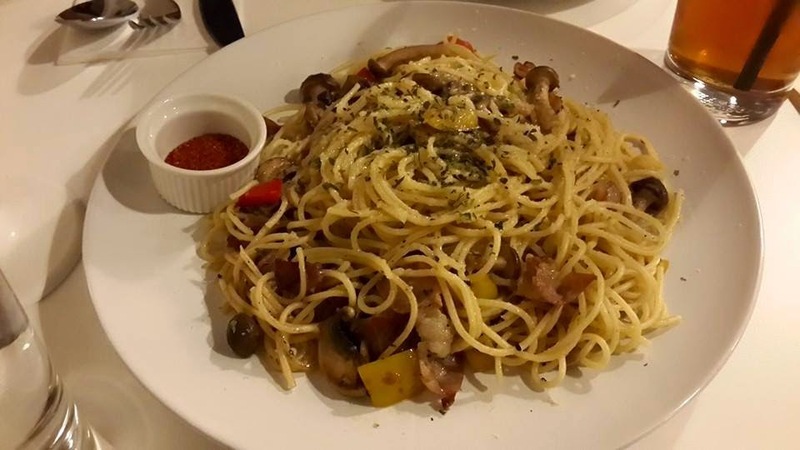 Spaghetti Alio Olio with Mushroom and Bacon, nohing to shout about, it's normal and personally i think it's too plain and not flavorful. Perhaps will give a try on their Homemade Fettucine on my next visit. 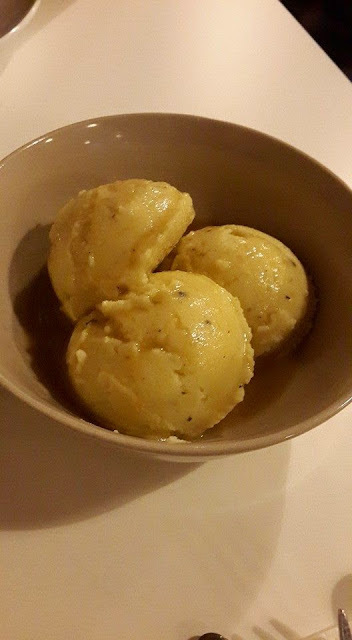 Mashed Potatoes - Not in menu, available prior request. 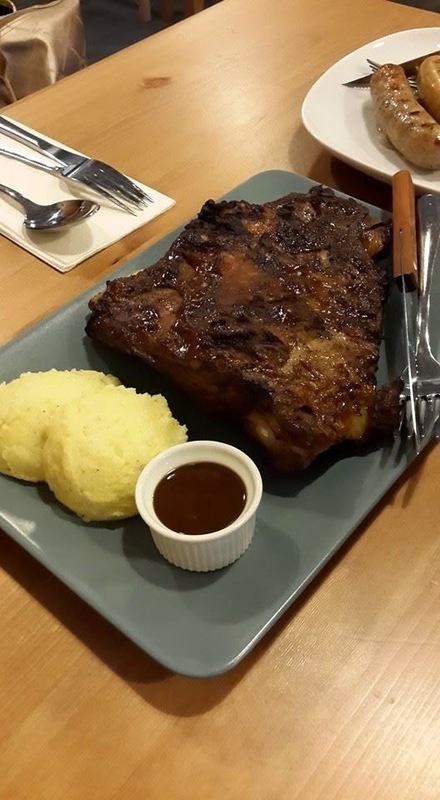 Did you guys note about the Mashed Potatoes as side on both of their signature dishes (Homemade Sausage & BBQ Pork Spare Ribs)? It's not eye catching right? But we were 'HUHA WALAO' when we first taste it!! It's so fine, smooth and fragrant! We finish it in the blink of an eye and request to side order Mashed Potatoes which is not written on the menu. Not to forget, they are selling raw homemade sausages too! You can purchase and cook it yourselves at home, good food will never be enough! Prices increased a lot. Now the salad cost RM12, half rack BBQ spanish ribs is RM45. Just been there 4th July 2016.